Filipe is an experienced clinician offering over 16 years of specialized manual therapy treatment. He incorporates a variety of therapies including; osteopathy, athletic therapy, massage therapy and acupuncture in order to promote quick recovery from automotive, work and sport related injuries. 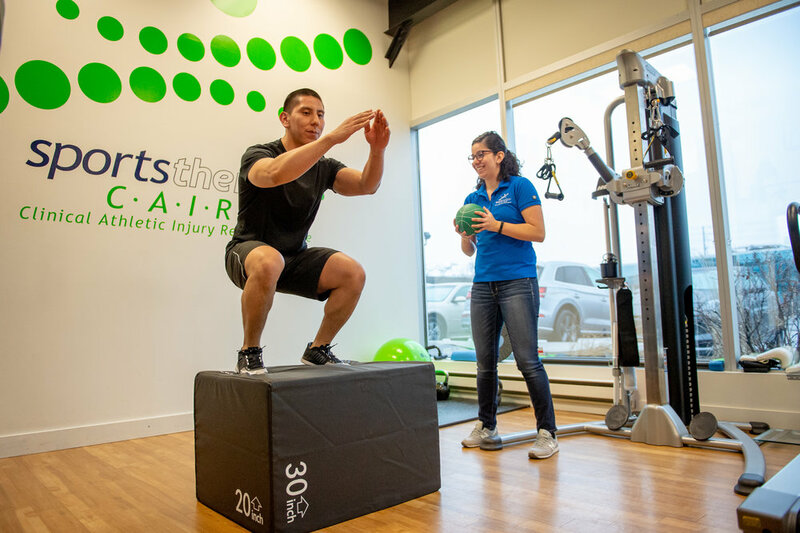 Filipe studied Osteopathic Manual Therapy at the Canadian College of Osteopathy; acquired an Applied Health Sciences Diploma in Athletic Therapy from Sheridan College; a Diploma in Massage Therapy from ICT. Kikkawa College; and a Diploma of Acupuncture from the University of McMaster Health Sciences. Most recently, Filipe graduated from the Southern Ontario College of Osteopathy where he completed his thesis. Filipe maintains a healthy work/life balance by training as a recreational triathlete and parenting his beautiful children alongside his lovely wife. Located near the 401 and Hurontario, we’ve been in business and serving the community since 2002. Our facility has the tools and equipment that are essential to helping you improve your health. From professional athletes to soccer moms, our team can help anyone achieve their wellness goals. Hear from some of our amazing clients.